As a kid, before I ever dreamed of being in broadcasting, I love listening to my grandpa tell stories of his days in radio. He worked overnights in Detroit for a time and, every morning before signing off at 5 or 6am, he would play my grandma a love song. It sounded super romantic. However, knowing how much my grandma enjoyed sleep, I’d be surprised if she was ever awake to hear the dedications. But, regardless, the stories were fantastic. Though not nearly old enough to be my grandfather (or maybe even father), Rob Greenlee has some amazing stories. To say he invented podcasting is probably a stretch, but he was “podcasting” well before it was ever a thing (seriously), and he has made his life’s work around the medium for almost two decades now. I can assure you, his stories (and takeaways) are definitely worth staying awake for. Rob is the Head of Podcast Content at Spreaker and the Adore Podcast Network. He is also a podcaster, co-hosting “The New Media Show” audio & video podcast as well as the “Spreaker Live Show.” Prior to Spreaker, Rob was the Executive Vice President and Chief Technology Officer at PodcastOne. 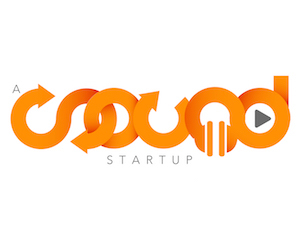 0:36 – Rob has been in podcasting since before it existed. His history is fascinating! 3:39 – The worst interviews are the ones that never show up. 5:22 – What guest never called that Rob really wished would have? 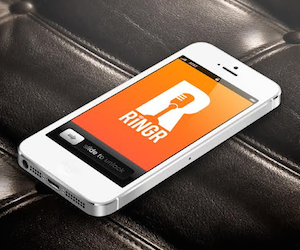 6:54 – RINGR is being used to record our conversation. Check it out here. 7:31 – Rob has a few tips and tricks for getting a great interview. 10:25 – What moment changed Rob’s life forever? 11:52 – What was the most irresponsible thing(s) Rob was doing before becoming a dad? 12:47 – Connect with Rob online on Twitter, via email or through his website.